Empower India Foundation registers its deep sorrow and condolence on the sad demise of Kaviko Abdul Rahman. His demise is a great loss to the Tamilnadu people especially the Muslim community of Tamilnadu. He has been sick for the past few months and expired at 3:30 am on 2nd June 2017 in Chennai. He was a great poet and had bagged 8 awards for his contribution to the Tamil literature. 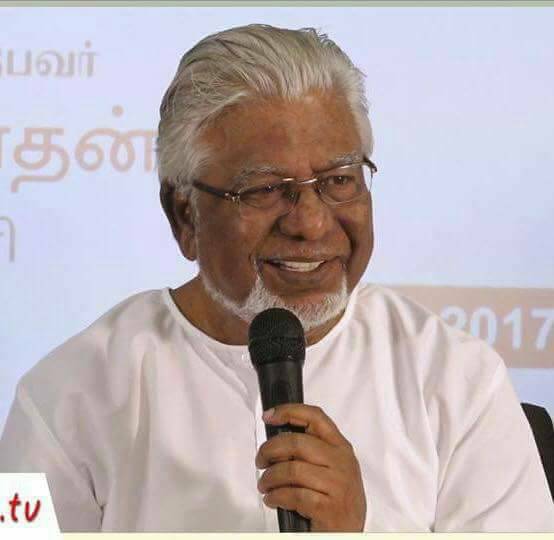 Born in Madurai in 1937, Kaviko had been a professor of Tamil at Islamiah College, Vaniyambadi for 29 years. He was active in the Vaniyambadi literary movement. His poetry collection “Aalapanai” had won the Sahitya Akademi Award in 1999. He was appointed as the Chairman of the Tamilnadu Wakf Board in 2009. He had served as the member of the Tamil Language Promotion Board of the Central Institute of Classical Tamil. Kaviko was a member of the Empower India Foundation National Advisory Board. His demise is a big loss to Empower India Foundation. His advice and feedback for the Empower India Foundation flagship project India 2047 had been highly motivating.